 Sept. 2, 2018 - The Security and Counter-terrorism Committee of the National Council of Resistance of Iran warns about despicable deals by the clerical regime’s Ministry of Intelligence and Security (MOIS) and preparing the stage for terrorist acts against Iranian refugees in Albania, members of the People’s Mojahedin Organization of Iran (PMOI), through the British television program Channel 4 News. Ms. Lindsey Hilsum, the Foreign Editor of the UK Channel 4 News, informed the PMOI in a letter that was sent on August 31, 2018, at 17:30, that Channel 4 News intends to broadcast a report on the PMOI on Monday, September 3. Judging by the letter, the subsequent report will be replete with allegations against the PMOI and members of the PMOI who are refugees in Albania. Ms. Hilsum suggested in the letter that if the PMOI has a reply to these slanders, it should submit them to Channel 4. Ms. Hilsum utterly failed a simple test of honesty formulated in the following question: When did Channel 4 decide to produce the piece and why did it decide to inform the PMOI at the 11th hour? The Iranian refugees found out about the production of the program on August 10, when a crew from Channel 4 was secretly recording the residence of the refugees from the nearby heights. Meanwhile, the PMOI members in Albania have been targets of the Iranian regime’s terrorism, and as such signs indicating that photography and videotaping of the residence are banned have been posted in the surrounding areas of the residence. Subsequently, in letters to the Channel 4 editor-in-chief on August 10 and August 13, the PMOI's Spokesman, and additionally, this NCRI committee's statement released on August 16, elaborated on the suspicious conduct of the Channel 4 crew and their relations with an infamous agent of the MOIS, Massoud Khodabandeh. They warned about the clerical regime’s efforts to exploit such a program in the pursuit of its terrorist objectives. But Channel 4 News did not reply to the above letters or statements. No logical person with common sense would expect the Iranian Resistance to partake in or to provide commentary in relation to a program, which all signs indicate has been coordinated with the MOIS from the onset, including the entirety of the narrative, the individuals interviewed and other elements. Two of the Iranian regime’s major planned terrorist plots against the Resistance, i.e. the plot to bomb the Nowrouz (Persian New Year) celebration of the refugees who are PMOI members in Albania in March and the bombing of the grand gathering of Iranians in Paris on June 30, were foiled in the final stages of the operations. The aftermath created major scandals for the clerical regime. In such circumstances, the MOIS desperately needs libelous programs like the one Channel 4 has been producing in order to create a justification for its previous foiled terror plots and also to set the stage for future attacks. In the course of investigations around the foiled Paris plot, four individuals were arrested. One of them, an Iranian “diplomat” who was stationed in Austria, personally delivered the bomb to the terror team in Luxemburg and was later arrested in Germany on his return. Demonizing the Iranian regime’s main opposition concurrent with the visit of the UK Foreign Office's Minister of State for the Middle East and North Africa, Alistair Burt, to Iran is another objective of Ms. Hilsum’s upcoming report. Burt’s visit to Iran is the first by a European minister subsequent to the foiled Paris terrorist plot. But experience has shown that offering concessions to the main state sponsor of terrorism in the world that has made hostage-taking into its most lucrative trade for the past four decades, would only encourage it to continue its despicable policies. Proffering concessions to the clerical regime by jeopardizing the safety and security of 2,500 refugees, members of the PMOI is tantamount to the promotion of terrorism and hostage-taking. Everyone knows that the production of such a report and allocating budget for it would require a decision week in advance. Informing the PMOI at the 11th hour is simply a dirty trick, exploiting the principles of journalism, in order to depict the program as being impartial. It marks a frivolous ploy to prevent the PMOI from launching judicial action against slanders and accusations that could be challenged through legal channels. Had there been the least degree of goodwill and sincerity, the journalist should have apologized for the fact that the MOIS was provided the photos that were taken from residences of refugees without their permission. On Friday, August 10, 2018, Ms. Hilsum secretly filmed and photographed the residences of the PMOI in Albania. Albanian security authorities on location discovered these actions and asked the parties to stop filming and to hand over the recordings. But members of the crew, who identified themselves as British nationals, failed to comply and continued their work. Subsequently, Albanian police authorities appeared on the scene and transferred the crew to the police station. At the police station, it became clear that two members of the crew turned out to be Albanians. The two had previously collaborated with several mercenaries of the Iranian regime to prepare a different television program against the PMOI. One of them, Vincent Triest, who is also a Dutch citizen, frequently travels to Iran. The crew had the contact details, including emails and phone numbers, of the representatives of the PMOI and the National Council of Resistance of Iran in the UK and the representatives of the PMOI in Albania, but did not contact any of them. Immediately on the same day, August 10, a PMOI spokesperson wrote an urgent letter to the editors of Independent Television News (ITN) and Channel 4 News, stating historical facts and current threats facing PMOI members in Albania. On this basis, he reiterated that "We are very worried that the filmed videos end up in the hands of the Iranian Ministry of Intelligence.” However, this concern failed to elicit any response. On August 11, the news of the visit of Channel 4 News to the PMOI site and photographs taken from the site appeared on the Facebook page of Massoud Khodabandeh, a notorious agent of MOIS, and on the Iran-Interlink website run by the MOIS. But when the MOIS realized that the publication of the news and photos gave away its plot against the PMOI, they ordered them to be removed on August 12. On August 13, the PMOI's spokesperson sent another letter to the chief editors about the publication of the photographs, describing the record of MOIS agent Khodabandeh and attaching two reports by a UK Parliamentary group and the US Federal Research Division of the Library of Congress about the fact that he is an MOIS agent. The PMOI spokesman sought an explanation once again. This letter has also remained unanswered. Subsequent investigations revealed that another individual, Darius Bazargan, who at various points introduces himself as an NBC correspondent or an ITN correspondent, or sometimes as an independent producer, was among those involved in the project. A look at his tweets over the past six months exposes his hysterical hostility toward the PMOI. He even described the planned terrorist plot against the Iranian grand gathering in Paris on June 30, as a "murky story," and “internal matter” related to the PMOI. What is the mission of the dubious filming crew; which party chose its members; and what were the considerations for their selection? Why the videos were recorded covertly covering the inside of the premises without the knowledge of the residents and their representatives who were easily accessible? Why did this team provide its photos and videos to Iran-Interlink and Khodabandeh? Who else were the photos and videos shared with? Finally, all the recordings and photographs should be returned to the representatives of the residents as soon as possible and they should not be provided to any other party. None of the questions and requests received a reply. Subsequent to the Committee’s August 16th statement, three major developments unfolded, further underscoring the scope of the activities of the mullahs’ terror machine. They made the objectives of the Channel 4 News program more suspicious. On August 20, the US Justice Department announced that two agents of the MOIS who were engaged in spying and planning terror acts against members of the Iranian Resistance in that country were indicted. On August 21, Facebook shut down 652 accounts that were run by the Iranian regime and were engaged in disinformation campaigns. Subsequently, Google and YouTube also closed dozens of accounts that disseminated the Iranian regime’s lies. The Iranian Resistance has been one of the primary targets of the mullahs’ demonization campaigns on the Internet and social media, particularly in recent years. Reuters reported on August 29 that the scope of the clerical regime’s disinformation campaign on social media and the Internet is significantly larger than previously thought. The French Foreign Ministry in a directive issued on August 20 underscored the regime’s plot to bomb “the annual gathering of the Mojahedin” in Paris and urged its diplomats to refrain from traveling to Iran. Is it a coincidence that Channel 4 News has not covered the terror plot against the Paris meeting and other terrorist schemes by the regime mentioned above, instead focusing its mission solely on enmity towards the Iranian Resistance and providing assistance to the Iranian regime? Mostafa Mohammadi, who received a visa from the Iraqi embassy in Tehran in 2008, went to Camp Ashraf (residence of PMOI members in Iraq at the time) to psychologically torture PMOI refugees there along with a number of other regime agents using 320 loudspeakers set up in the camp's parameter. (A picture of his passport, visa, and video clips of Mohammadi's actions are all available). The material that Ms. Hilsum intends to “reveal” as a “threat assessment” by “Albanian Police” is a four-page long paper that bares no letterhead or official signature. It has previously been published by websites and news outfits affiliated with the clerical regime. Channel 4 News is simply the latest of these outfits. Albanian authorities have underscored that the Police has not issued such a report. The Albanian lawyer who is interviewed by Channel 4 News is an agent of the MOIS who has already been exposed by the Iranian Resistance. Contrary to the claims of Ms. Hilsum, the Iranian refugees in Albania over the past five years have always welcomed friends, dignitaries, and journalists from Albania and other countries, both in their current and previous residences. But they are vigilant and experienced enough not to welcome the Iranian regime’s agents. The Channel 4 News biased report, which tramples upon all the standards of journalism, is about to be broadcast at a time when the clerical regime is engulfed by all sorts of crises that have challenged its entirety. It is also being broadcast at a time when nationwide protests have pushed the clerical regime to the brink of being overthrown. The production of this piece by an individual who has visited Iran on a number of occasions in recent years, from where she has extensively reported, might be a necessary prerequisite and price for obtaining additional visas. It is noteworthy that in August, the Iranian regime issued visas for a six-person crew of Channel 4 to enter Iran.